Summer Dance Class Fun for everyone! 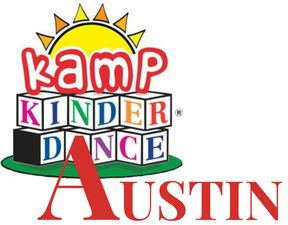 ​Join Kamp Kinderdance Austin in 3 convenient Round Rock locations for dance fun and fitness under the summer sun! 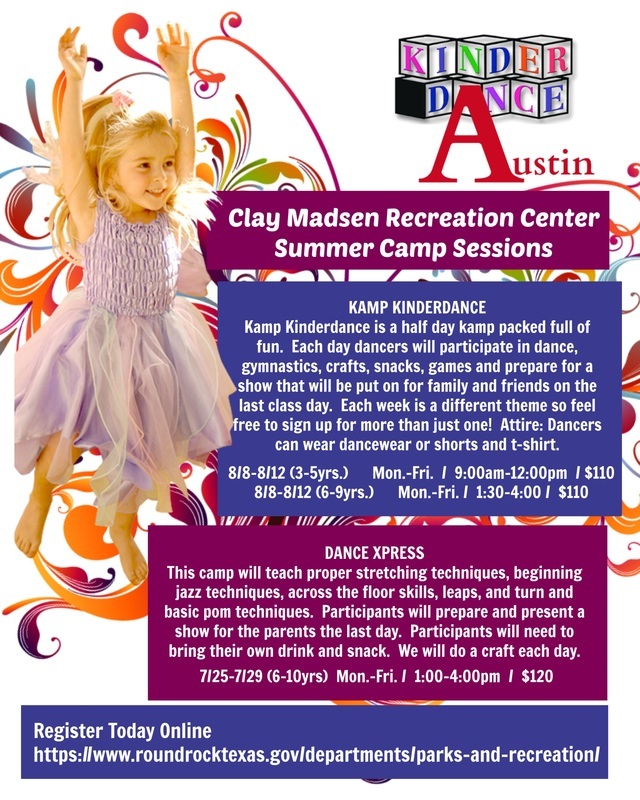 Choose to dance at Clay Madsen Recreation Center in Kamp Kinderdance for introductory dance & gymnastics concepts, or try beginning jazz & pom techniques in the Dance Xpress sessions. 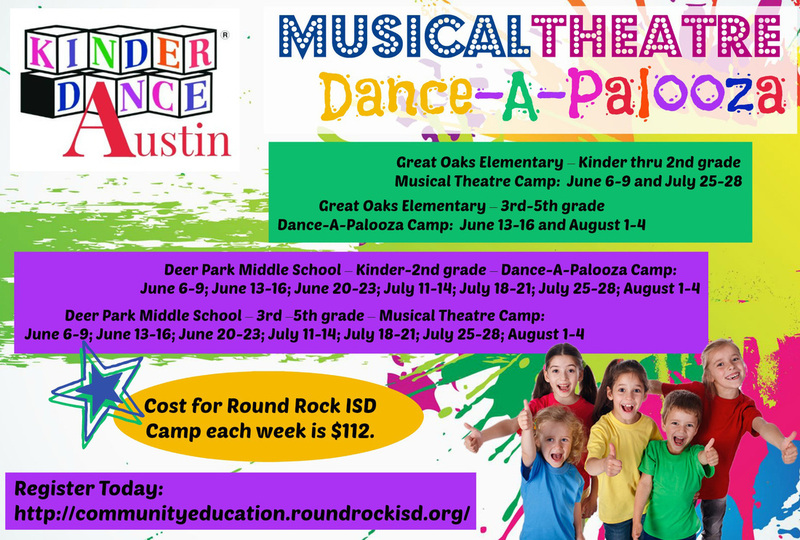 Get your jazz hands ready for Musical Theatre classes, or try a bit of everything in the Dance-A-Palooza combination classes featuring many dance styles at the Great Oaks Elementary School and Deer Park Middle School locations.